There is something especially attractive about a community whose vision is to be the “Best Value in Paradise.” That community is Countryside Golf and Country Club in Naples, Florida, where the hospitality is as warm as the location. 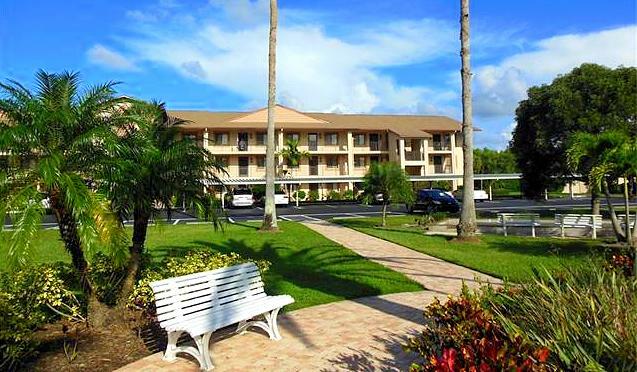 Countryside’s location is nearly perfect for access to Naples and all of Southwest and South Florida. The community is less than two-and-a-half miles from I-75 Exit 101. Many of Naples main attractions, including its incomparable beaches, are within a five-mile radius. Marco Island is only 12 miles to the south. Countryside has gated entrances on the north side from Radio Road, and on the south from Davis Boulevard. Its neighbor to the west is the equally popular Glen Eagle Golf and Country Club. Countryside Homes For Sale - Updated Every 15 Minutes! Countryside Condos is a community of 150 residences in five three-story buildings that overlook the 10th, 17th, and 18th fairways of the resident-owned, debt-free golf course. These two-bedroom, two-bathroom homes are a bit larger, averaging 1,100 square feet under air and are distinguished by exterior landscaping that features and abundance of royal palms. This neighborhood also has its own tennis court and pool. Country Haven condos, also two-bedroom, two-bathroom designs, are located in five, three-story buildings in a courtyard setting, with a large, central lawn, a neighborhood pool, and tennis court. Country Haven residents have views of the 11th, 12th, 14th, or 15th fairways. Country Manor is a unique arrangement of two-bedroom, two-bathroom residences ranging from 1,100 square feet to 1,300 square feet. The neighborhood has eight buildings with two different styles of architecture in two separate enclaves. There are two tennis courts at the entrance of Country Manor, and each enclave has its own swimming pool. Some residents have views of the 3rd, 6th, or 7th holes, but most enjoy exquisite waterfront vistas. Countryside homes are built around a par 70 Arthur Hill-designed golf course that is considered one of the premier golfing destinations in the Southwest Florida. There are 1,133 residential units in six different neighborhoods, as well as 221 single-family homes. Country Hollow features a collection of veranda-style homes. The two-bedroom, two-bathroom floor plans are 1,400 square feet and larger. Each of the nine two-story buildings contains six villas, each with two lanais, on each floor, Country Hollow homes come with a detached garage. A tennis court, pool, and a Jacuzzi are in the center of the neighborhood. The Countryside Veranda neighborhood is split into two enclaves known as Verandas North and Verandas South. The north enclave consists of six two-story buildings with 12 homes in each building. The south enclave has four similar buildings. Each home includes a detached garage. Each enclave has its own pool and Jacuzzi. The two-bedroom, two-bathroom floor plans range in size from 1,100 to 1,500 square feet of living space. The Countryside Clubhouse includes the community pool and space and three Har-Tru tennis courts. A certified tennis pro is available for clinics or private lessons. The well-equipped fitness center is located near the clubhouse complex.